My good friend Carol is a geocaching fanatic. She regularly takes off, day or night, with GPS and Android phone in hand in search of tiny camoflaged capsules. Adventure abounds and breathtaking scenery awaits on these techy Easter egg hunts. 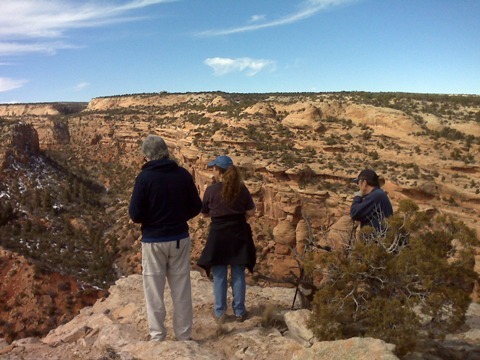 Lovely spring-like weather and the promise of a great hike lured DH and I out to Bangs Canyon with Carol and her DH today. Slickrock was tread, mud and snowfields were forged, and caches were found! The caches ranged from little pill bottle-sized containers wrapped in camo duct tape found hanging in trees to a bolt cover that looked suspiciously lichen-like drilled into a rock, to an ammo container hid under rocks in an overhang that had to be scrambled to. Great adventure, so much fun, amazing views. We could see pretty much the entire Grand Valley. 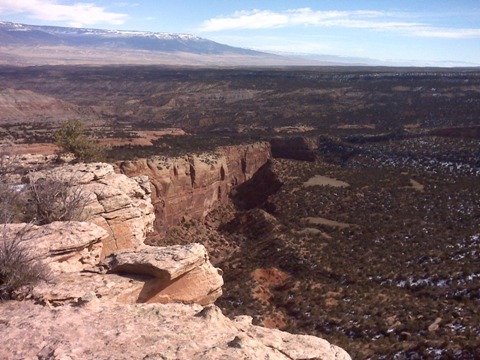 San Juans to the south, The Grand Mesa to the East, the Bookcliffs and Roan Plateau to the Northeast. 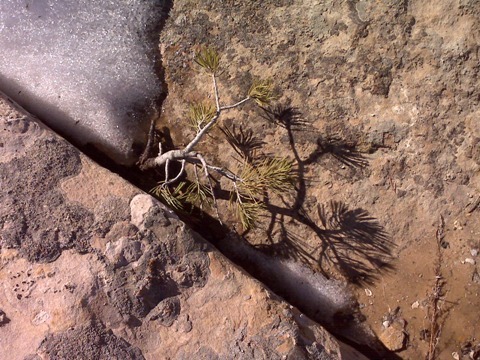 Tiny pinon pines grow directly out of cracks in the lichen-spotted slickrock, where snow still lingers. 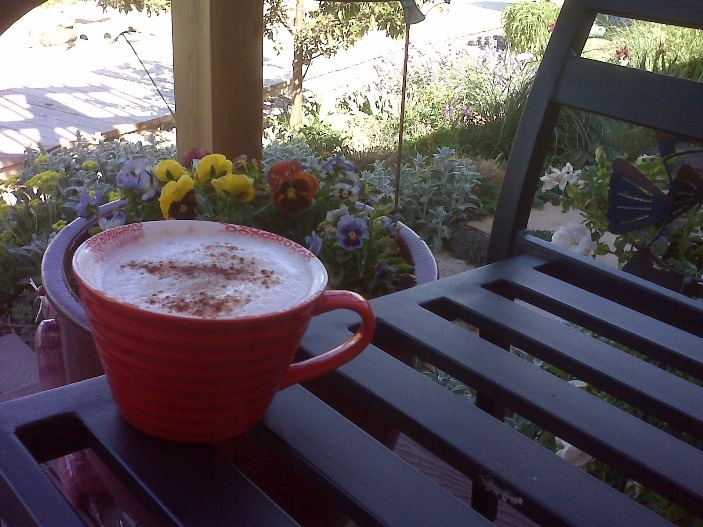 What an absolutely GLORIOUS day! We plan to go caching again, this time with the added draw of a wine and cheese picnic. Who knows, maybe Carol will get me sucked into caching on my own; although, a big part of the fun today was sharing the hike and the views with good friends.